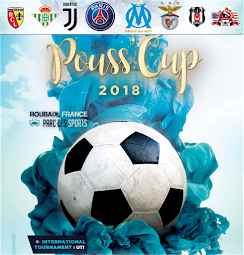 La Roca FC - 2018 Pouss Cup: Post #8: From Roubaix to Paris to Salt Lake City - wow, what an experience! Thank you La Roca. Post #8: From Roubaix to Paris to Salt Lake City - wow, what an experience! Thank you La Roca. Wrapping up the tournament and who does Jose find? Malik's nephew! From Roubaix to Paris - players are wiped out!